Phathizwe Malinga is part of the Singularity University South Africa faculty with a focus on Internet of Things and Big Data. 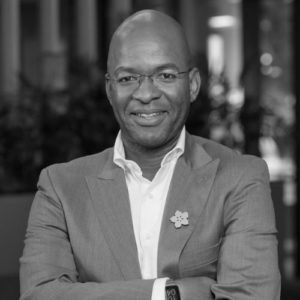 As the Managing Director of SqwidNet, Phathizwe Malinga is responsible for building an IoT connectivity business in South Africa in partnership with International IoT giant SIGFOX. He recently returned from Silicon Valley to become an accredited SingularityU South Africa Faculty member. In addition to his CEO role, he will continue overseeing the solutions division for SqwidNet, a fully-owned subsidiary of Dark Fibre Africa. Phathizwe has transitioned into leading SqwidNet because of the various leadership roles he has fulfilled over the years. Phathizwe is no stranger to the role of a strategist, as he consulted with Max Healthcare and Life Healthcare Group in his previous position with the organisation. He has been involved in the information technology and telecommunication industry for over two decades, having held senior management level positions. Before joining SqwidNet, Phathizwe was the Head of Application Strategy at Life Healthcare Group, and he was in charge of the IT Application strategy and Software Development for the group. He completed his Executive MBA from the Graduate School of Business, Cape Town. Phathizwe continues to guest lecture at the university and sits on the board of Bizmod Consulting. Phathizwe Malinga from Mann Made on Vimeo.